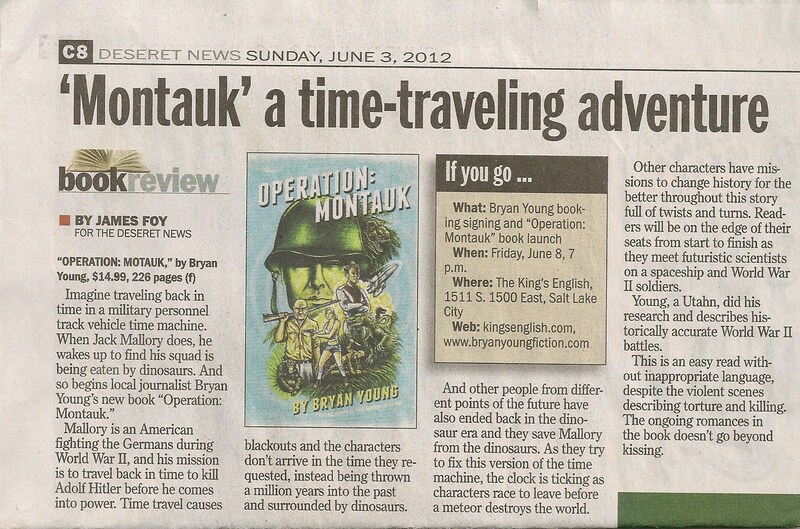 In advance of my signings this weekend (at The King's English and Dr. Volts (more to be announced possibly)), the second largest newspaper in Salt Lake City ran a review of Operation: Montauk. It was written by a gentleman named James Joy, and you can read the entire thing on their website here. He really seemed to like it. Readers will be on the edge of their seats from start to finish as they meet futuristic scientists on a spaceship to World War II soldiers. More should be rolling in soon, and there should be more interviews on the horizon as well. If you want to get a signed copy and can't make it to a signing, be sure to hit the online store. 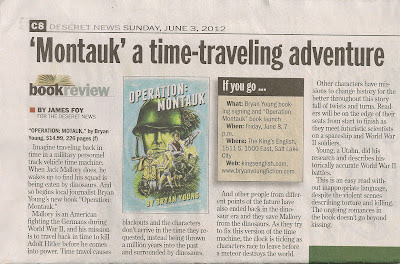 You can also pick it up digitally if that's your preference, both at Amazon and Barnes and Noble.